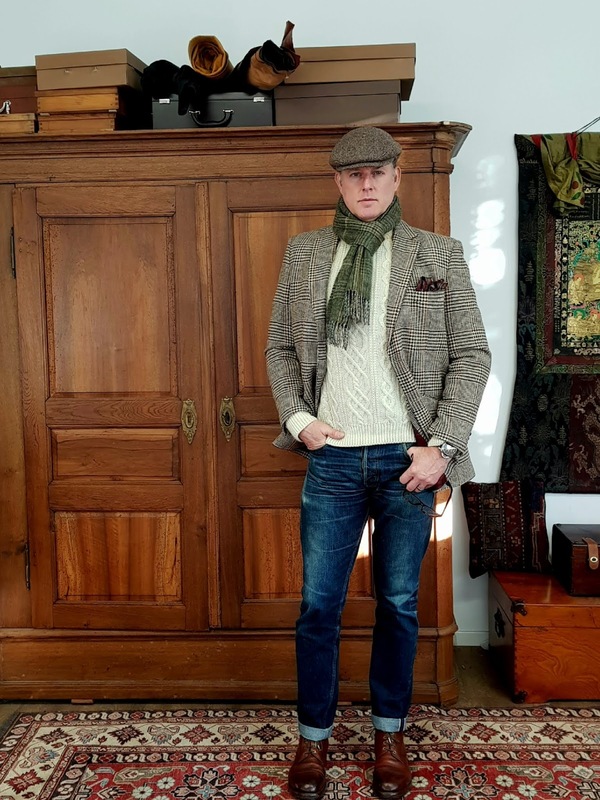 In any case, I had been looking to add a Prince of Wales Tweed in brown to my jacket collection for a while and so this 'Dougal' is an answer to my prayers. 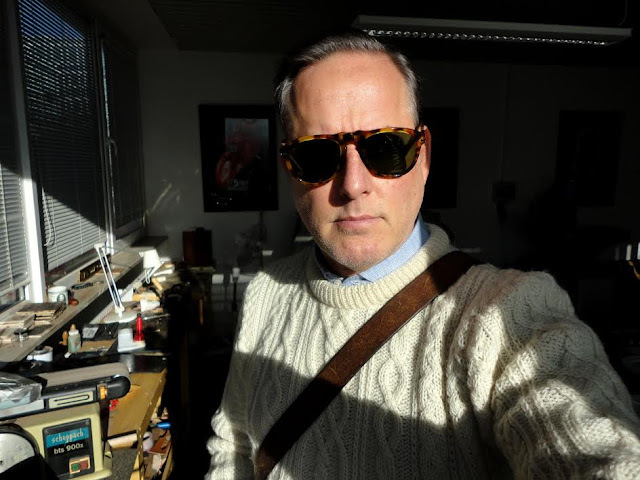 Of course, being Harris Tweed and a limited edition jacket, just makes doubly irresistible. 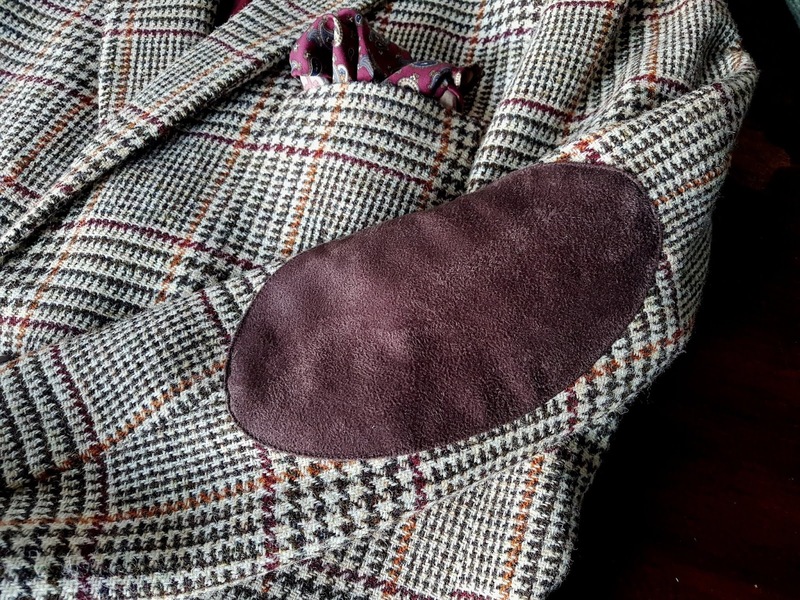 Featuring suede elbow patches, slanted pockets, 2 side vents, leather buttons, and the black ‘Centenary Label’and a beautiful crimson/burgundy lining. 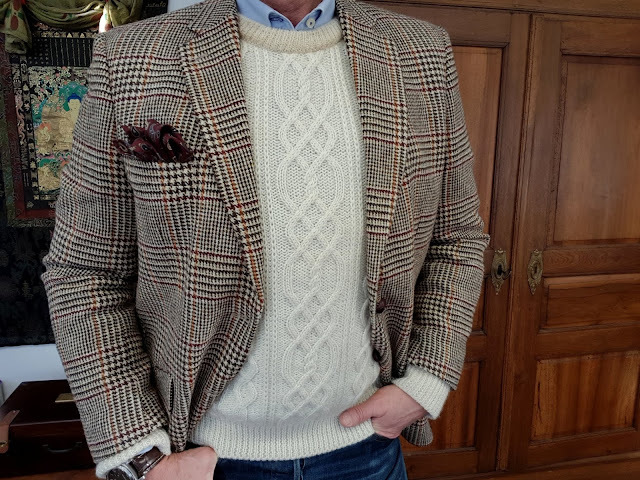 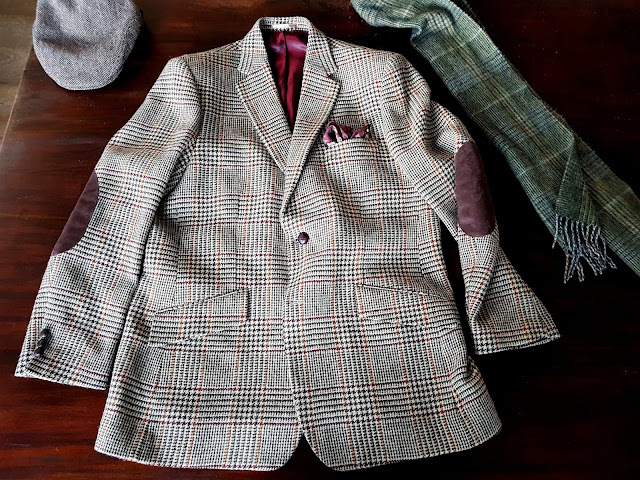 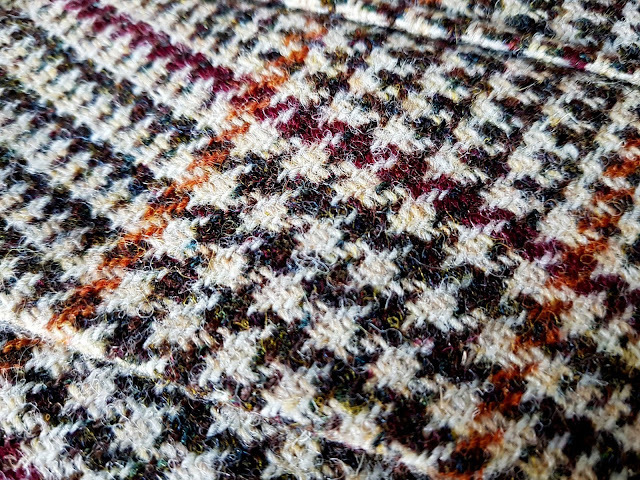 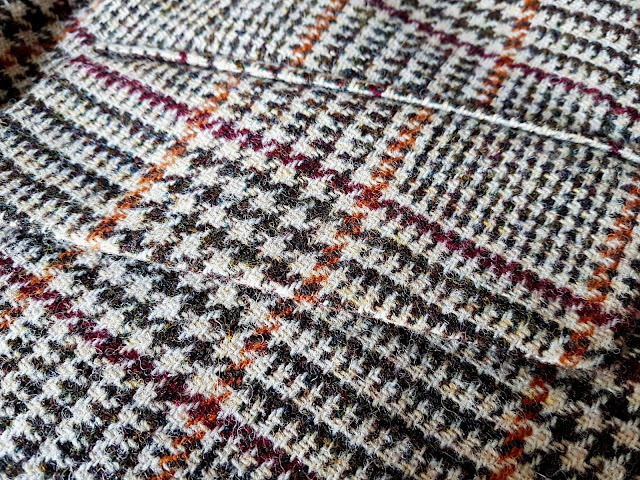 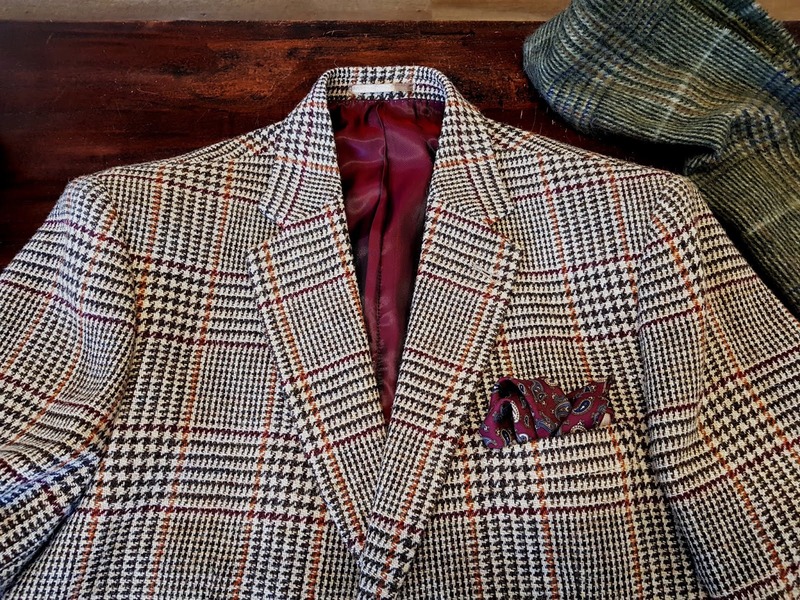 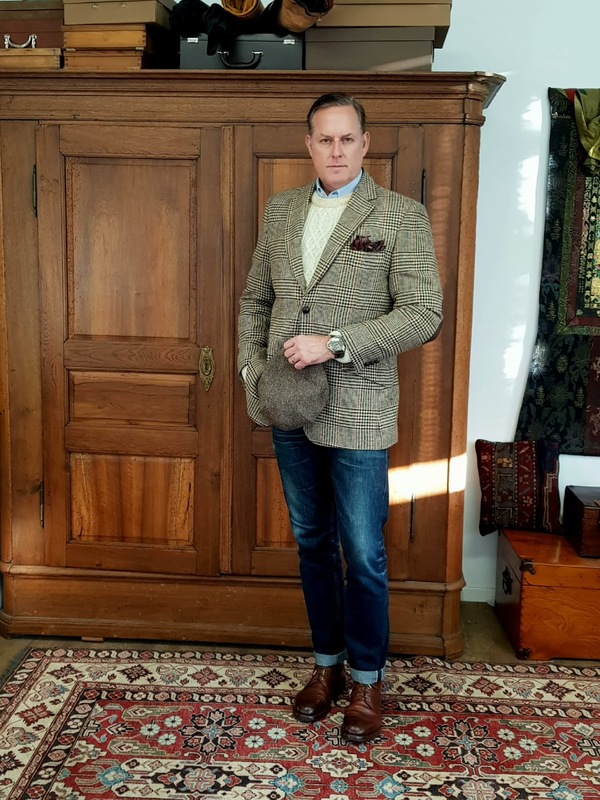 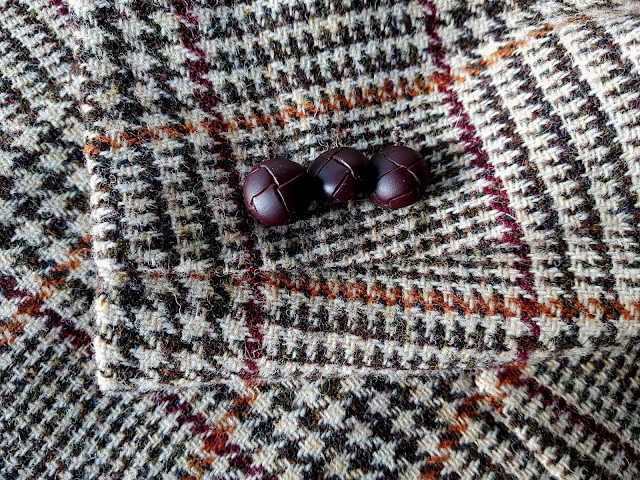 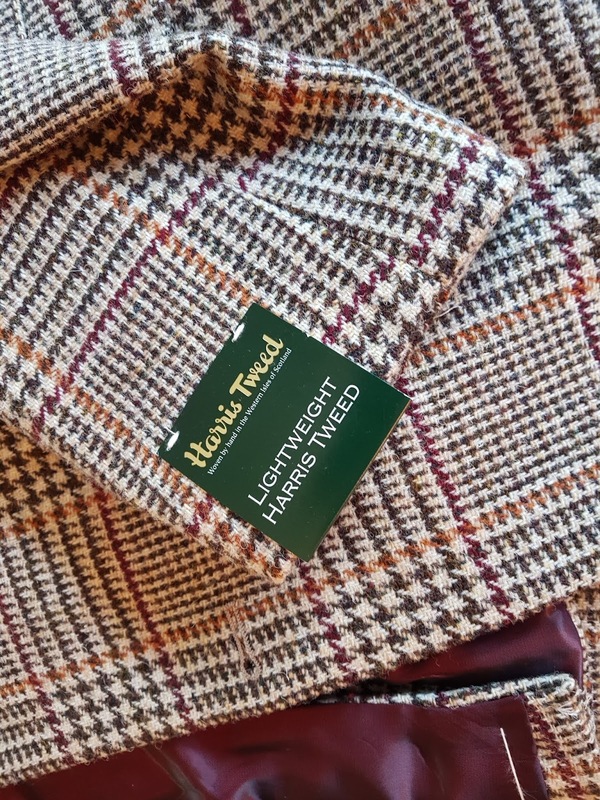 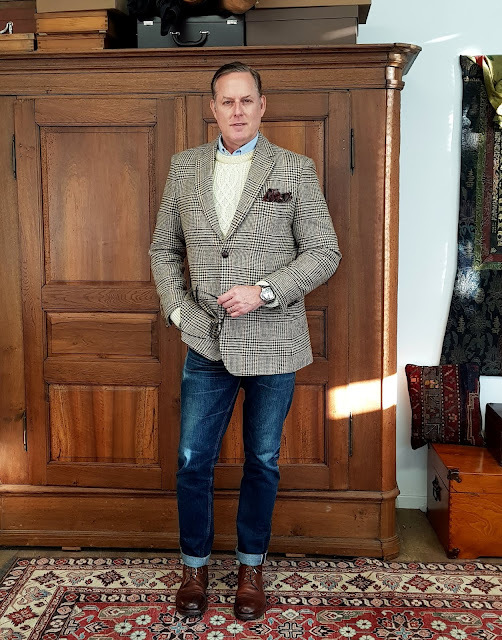 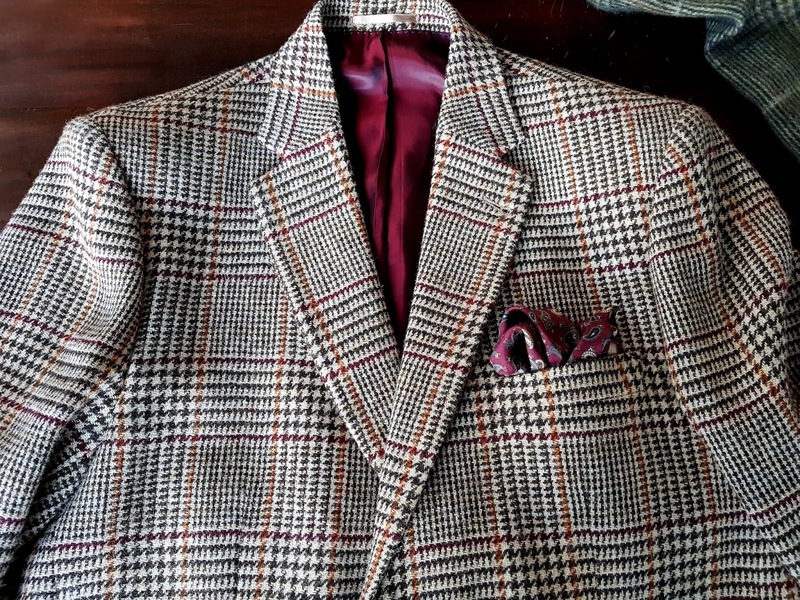 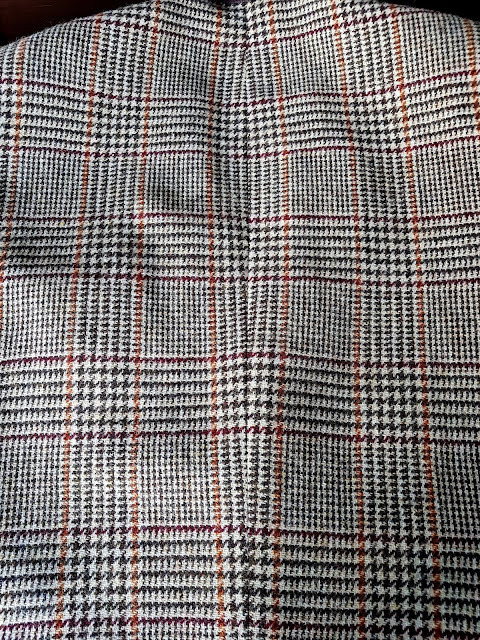 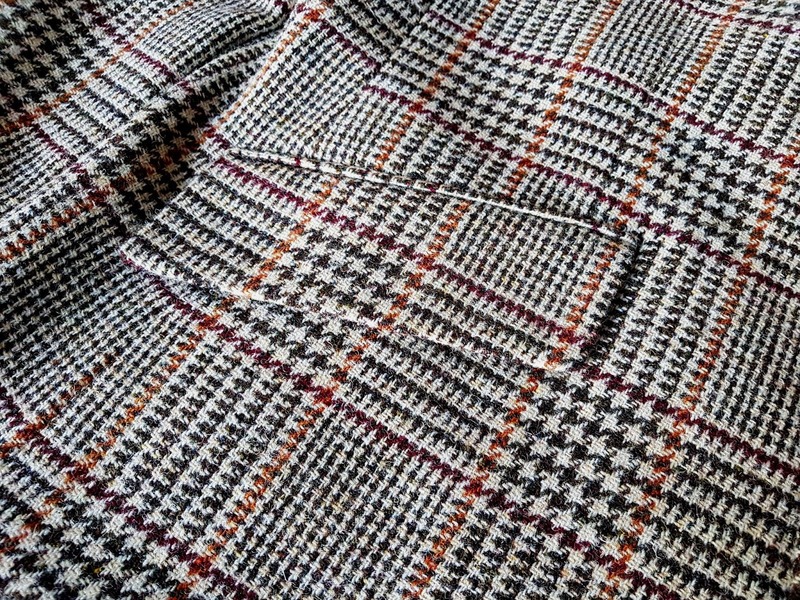 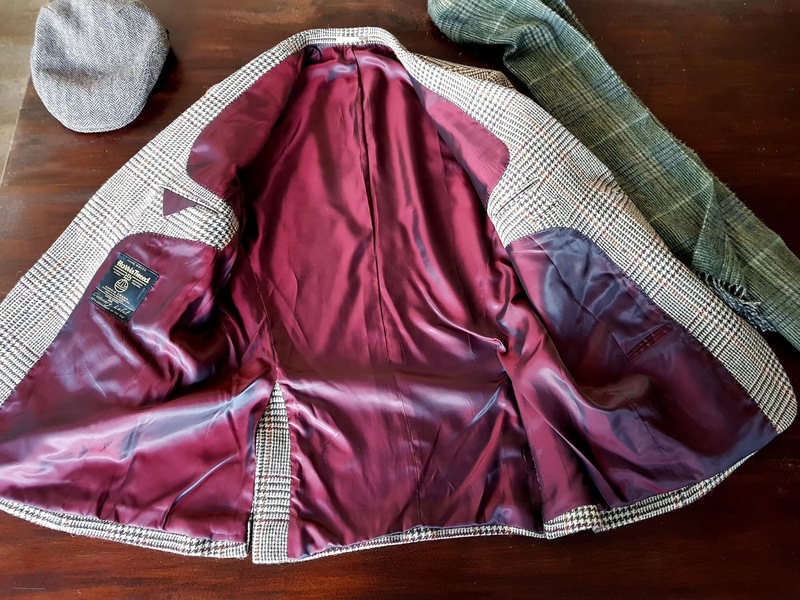 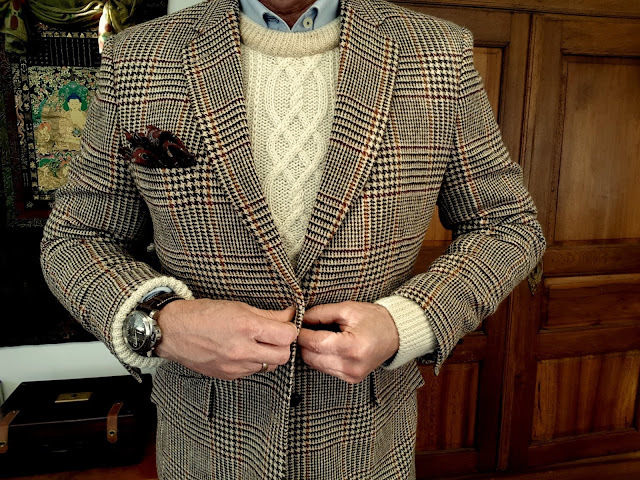 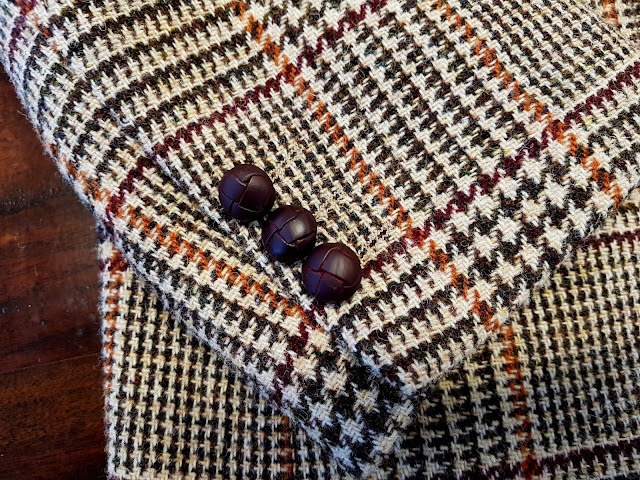 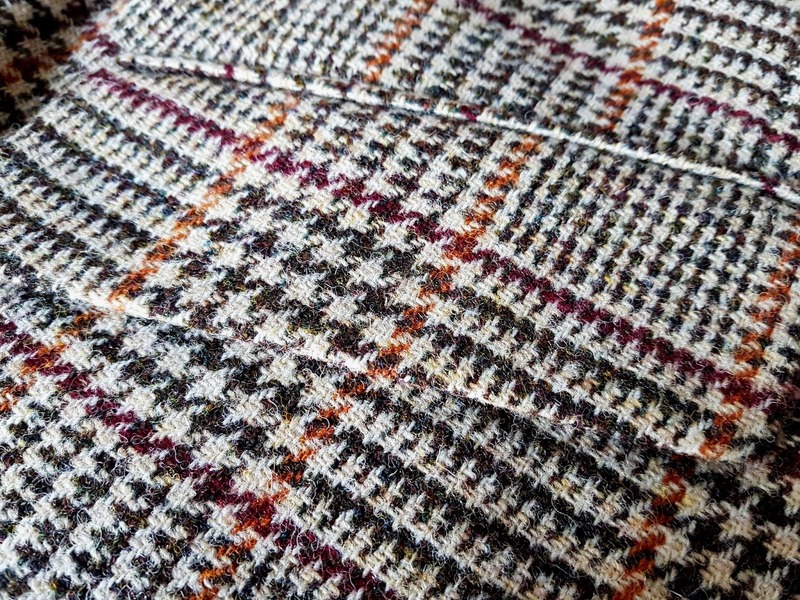 Provided for my own enjoyment and for that of my tweed obsessed brethren: The pattern of the Dougal jacket contains burgundy, orange, beige and brown which creates a classic check plus the addition to a bit of extremely subtle green and yellow just to add a bit of subversiveness). 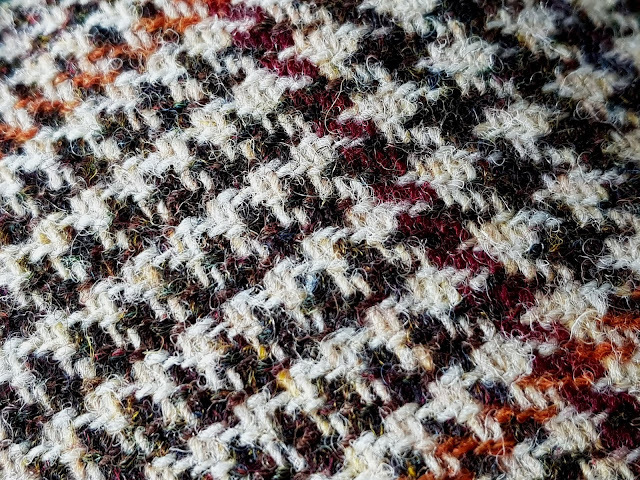 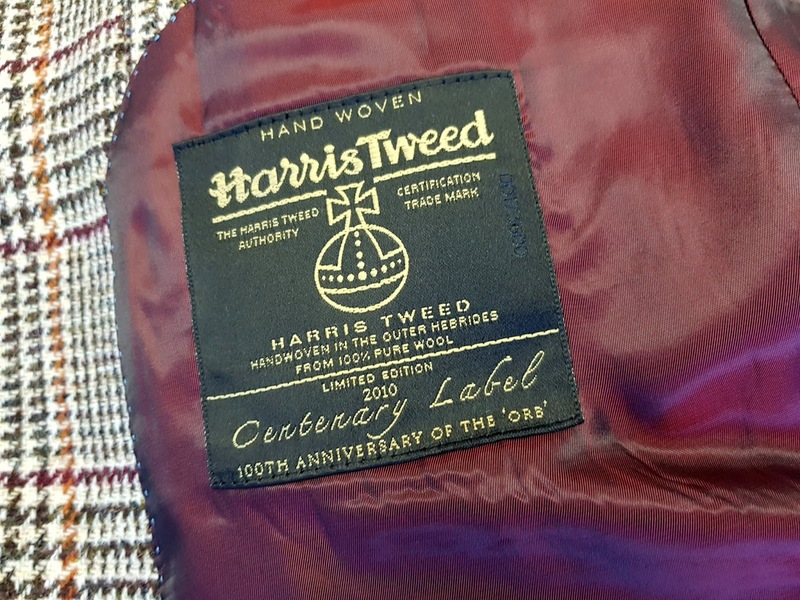 This Harris Tweed is one of their 'lightweight' weave (630gm per meter) which apparently is 20% lighter than the 'Normal' weight Harris Tweed, but I must say even the 'lightweight' feels very substantial to me. 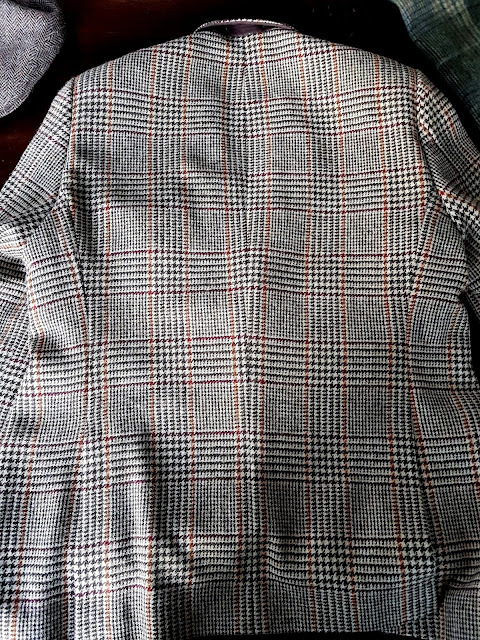 I only received the jacket today and so have had a limited opportunity to build outfits around it but no doubt, that will become a wonderful addition to my wardrobe and I'm looking forward to experimenting with color and pattern matching this new addition. 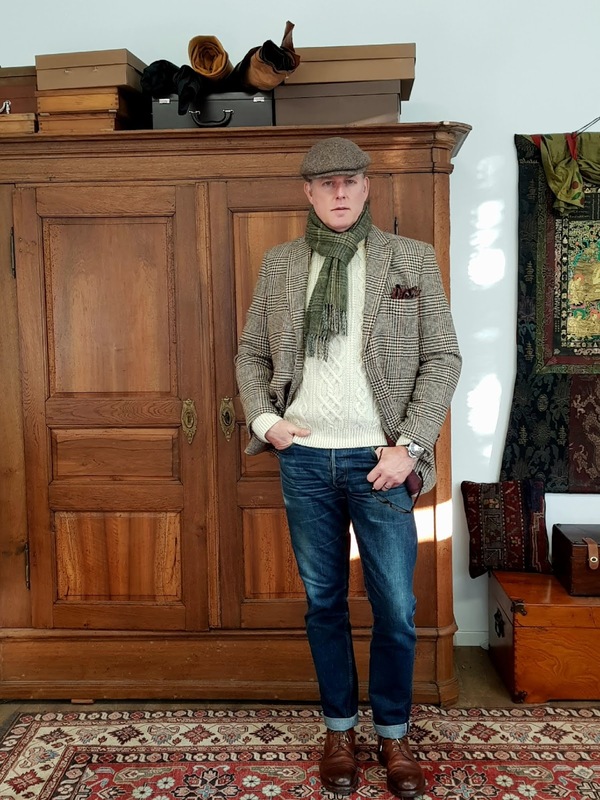 For today I've combined it with a paint blue Oxford cloth shirt, Cream White Aran Sweater, Selvage Denim from Bravestar, Brown Ryan boots by Grenson.